About: Nowak is responsible for developing and managing the College’s new Center for Health and Risk Communication, which seeks to foster an interdisciplinary approach to health and risk-related Communication projects, including interventions, campaigns, messaging and messages, news media and provider-patient communication. Dr. Nowak received his B.S. in 1982 from the University of Wisconsin-Milwaukee, with majors in both economics and communications. He continued his studies at the University of Wisconsin-Madison, where he subsequently earned an M.A. degree in journalism (1987) and a Ph.D. in the field of mass communications (1990). Glen Nowak is a Professor of Advertising and Public Relations and director of the Grady College’s Center for Health and Risk Communication. Prior to joining the Grady faculty in January 2013, he worked 14 years at the Centers for Disease Control and Prevention. He spent six years as director of media relations at CDC and six years as communications director for CDC’s National Immunization Program. He has experience in managing and implementing health and risk communications programs, media relations, health information campaigns and social marketing. Prior to joining CDC in January 1999, Dr. Nowak was an associate professor of advertising and communication at the Grady College of Journalism and Mass Communication at the University of Georgia. At Georgia, Dr. Nowak taught undergraduate and graduate courses in principles of advertising, communication and advertising research, communication and advertising management, social marketing, and health communications. 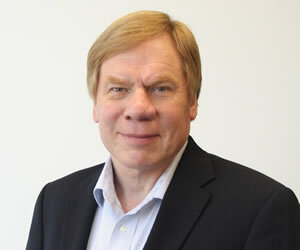 In the course of his career, Dr. Nowak has authored or co-authored a number of peer-reviewed journal articles on communications practices, social marketing, and health communications, and conducted numerous workshops and trainings on health communication, social marketing, risk communication and media relations.